The Memorial Candle Program has been designed to help offset the costs associated with the hosting this Tribute Website in perpetuity. Through the lighting of a memorial candle, your thoughtful gesture will be recorded in the Book of Memories and the proceeds will go directly towards helping ensure that the family and friends of Nancy McKinney can continue to memorialize, re-visit, interact with each other and enhance this tribute for future generations. 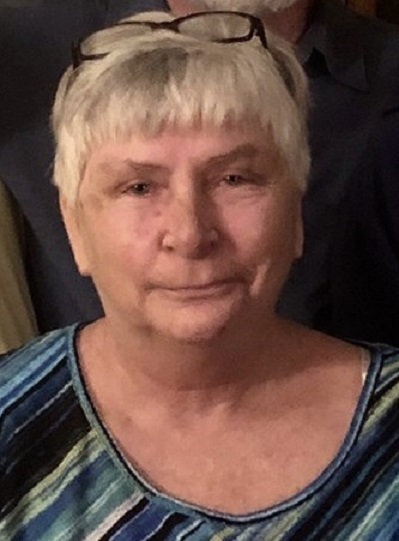 Nancy Spencer McKinney, 67, of Lawrenceburg and formerly of Paris, former owner of Paris Antiques, died Tuesday, July 24, 2018 in Sumter, South Carolina. She was born December 8, 1950 in Lexington, daughter of the late James K. Polk and Elizabeth Hodge Spencer, and attended Bryan Station High School. Nancy is survived by her husband, Danny McKinney, Lawrenceburg; two sisters, Brenda Depp, Mount Sterling, Helen Spencer (Ronnie) Thacker, Jackson, Tennessee; a and a brother, Richard (Lena) Spencer, Prospect. A brother, William E. “Sammy” Roberson, preceded her in death. Visitation will be 11:00 a.m. Monday, July 30, at Hinton-Turner Funeral Home with funeral service at 1:00 p.m. by Rev. Charles H. Kemp. Burial will be in Clintonville Cemetery. Casket bearers will be Spencer Depp, Jacob Depp, Dennis Roberson, Matthew King, Clay Crump, Jeremy King, Heath Thacker, and Mack Collis. To send flowers to the family of Nancy McKinney (Spencer), please visit our Heartfelt Sympathies Store.